for $1,149,900 with 4 bedrooms and 3 full baths, 1 half bath. 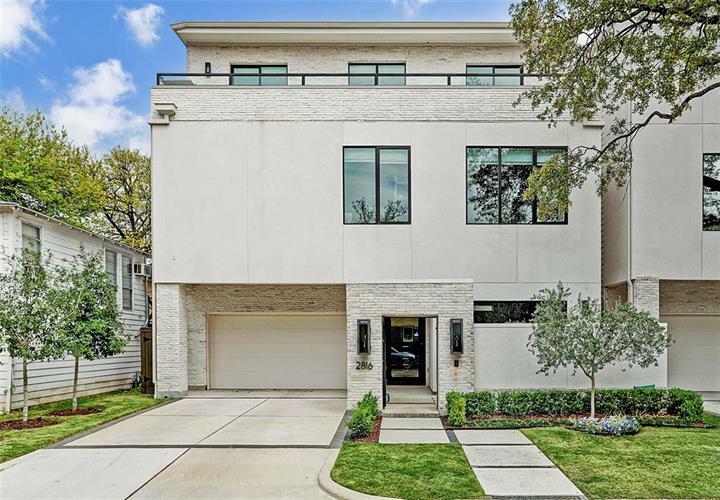 This 3,333 square foot home was built in 2017 on a lot size of 2275 Sqft..
Upper Kirby Recent Construction (2018) 4 bedroom 3.5 bath + Den (Elevator to all 3 floors) 2 car attached garage Contemporary/Modern Designed single family patio home w/a private double wide driveway & NO HOA. 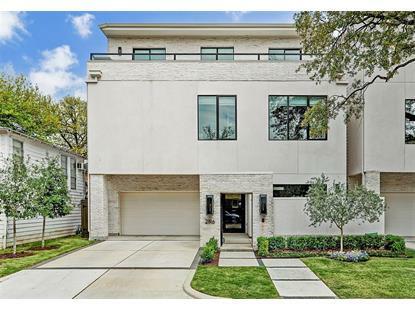 Gated Entrance leads to the homes private courtyard & over-sized metal glass front entry door. 1st floor living w/high ceilings, 4"White Oak Flooring, LED lighting, wine fridge/beverage center + expansive walls for art. High end Kitchen w/Neolith Carrera counter-tops, Stainless Steel 48" Thermador Refrigerator, 36" Thermador Gas Range/Oven, Dishwasher & Microwave drawer. 2nd floor master suite w/his & her custom closets, spa like bath, 2 guest bedrooms w/Hollywood bath. 3rd floor den w/fireplace + a wall of glass w/outdoor patio & treetop views. Wet bar w/beverage fridge. 4th guest bedroom & 3rd full bath. 3rd floor Oversize outdoor patio w/built in gas grill. Walk to Whole Foods, Trader Joe's, Local Foods, Pondicheri, Eddie V's+++. Like New Move In Condition!